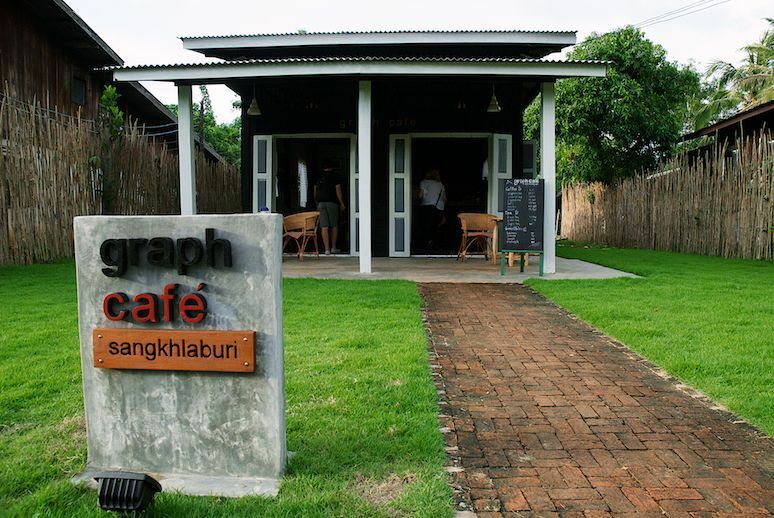 The tiny Graph Cafe with its unusually green patch of lawn tucked away on the back streets of Sangkhlaburi stands out remarkably from its surrounds, so much so that you can't pass it by without having a look inside. The interior is filled with the artwork and photography of its owner who sits below his postcards, each one hand-crafted and painted. I sat by an open window, enjoying the light breeze and a deliciously sweet banana smoothie, all the while listening to jazz music in the background and perusing the gorgeous cards and notebooks. The beautiful photography, framed around the cafe, can also be seen in a mini-gallery space out the back. 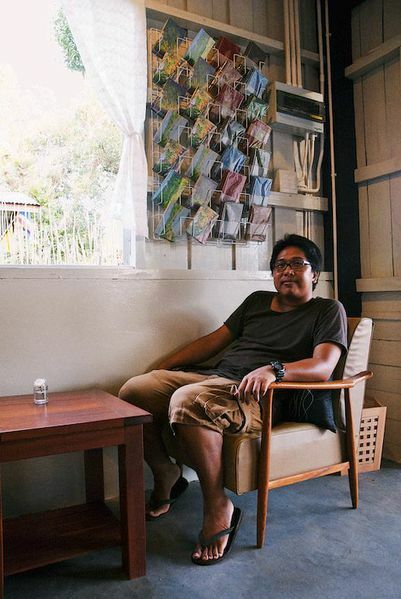 It's clear that he has a very thoughtful and considered viewpoint as an artist, as if the cafe itself isn't testament to that.